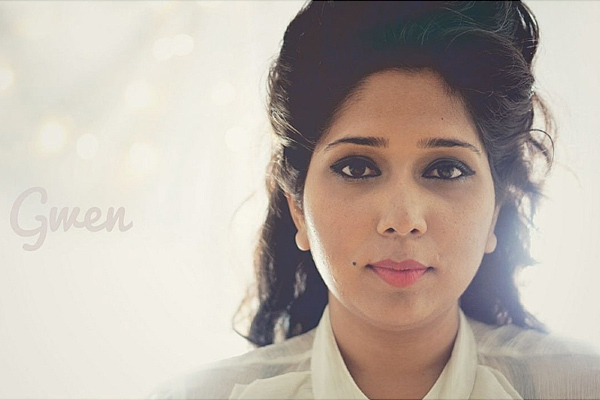 MUMBAI: Gwen is a singer-songwriter, performer and recording artist born and raised in Bombay. The compositions of Disney’s iconic movies and Broadway musicals helped to shape her musical sensibilities. Also she has worked along-side music directors and singers like A.R Rahman, Amit Trivedi, Sunidhi Chauhan on television shows like MTV Unplugged, Coke studio and major award shows in India. Currently she has come up with her new single TIME from album Gwen And The Groove. “This was a fun composition to work on .The video and the audio brought out the theatrics in me. I had to get into a quirky character to express the emotion required. Just like my others songs, I wrote TIME many years ago .It has evolved over time in so many aspects .But over the last two years is when the song came together,” added Dias. Gwen introduces all those artists who have contributed for TIME, “ Grammy award winning New York based Andrew Gutauskas has played with the likes of Paul Simon ,Michale Buble, Post Modern Jukebox and other bigwigs and Delhi based Abhay Sharma who has been making waves in the industry have added a fresh sound to the track,” informed Dias. Lastly she shares her upcoming plans, saying, “I have three more songs that I am going to release this year. I have shot the videos in Rome .And then I release my EP. But I am most excited that I'm going to go live with my band in the next few months. I have a few Ad Jingles in the pipe line and on the Bollywood front, I will be going on tour with Arijit Singh. MUMBAI: Grammy-nominated singer Halsey says she once considered prostitution when she was homeless in New York "to pay for her next meal".